When we launched Point Solutions Group, the mission was to address the need and demand for diverse teams in IT, engineering, and professional services within government and commercial organizations. 18 months later, we’ve established the infrastructure, resources, and capabilities necessary to help organizations scale efficiently and effectively, and as of the writing of this letter – we have grown diversity within our deployed teams and programs by 15%. Nearly half of our current projects are fulfilled with diverse candidates. We’ve witnessed the impact of our value-add process and diverse teams come to life in our recent projects, including a large program we supported by deploying a 33+ member technical team to provide a mission-critical infrastructure upgrade in just three weeks. But pulling together world-class solutions is only part of the equation. Inspired by our reception across multiple markets, we see opportunity to leverage every dimension of the talent community to make a positive impact. We achieve this by remaining relentlessly focused on shared growth and fulfillment of resource needs. Said another way, this work is a collective effort driven by passion to make a difference in the mission of the organization. And while we have a long way to go, I am proud of our progress. Every action we take together ensures that our clients achieve their missions faster, with more ease, profitability, and innovation, creating a stronger future for everyone they serve. Paige founded Point Solutions Group (PSG), a technical managed services provider, to address the need and demand for diversity in information technology, engineering, and professional services in global government and commercial organizations. 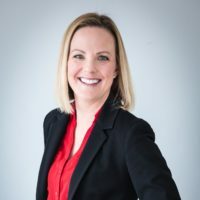 Her extensive exposure in the information security, healthcare IT, and Department of Defense industries nationwide shapes her ability to pivot between highly classified government projects and the demands of an ever-changing commercial landscape.